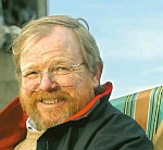 Bill Bryson turns away from the highways and byways of middle America, so hilariously depicted in his bestselling The Lost Continent, for a fast, exhilarating ride along the Route 66 of American language and popular culture. 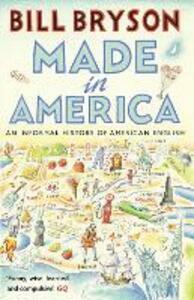 In Made in America, Bryson de-mythologizes his native land - explaining how a dusty desert hamlet with neither woods nor holly became Hollywood, how the Wild West wasn't won, why Americans say 'lootenant' and 'Toosday', how Americans were eating junk food long before the word itself was cooked up - as well as exposing the true origins of the G-string, the original $64,000 question and Dr Kellogg of cornflakes fame. Buy this book at once and have a nice day!